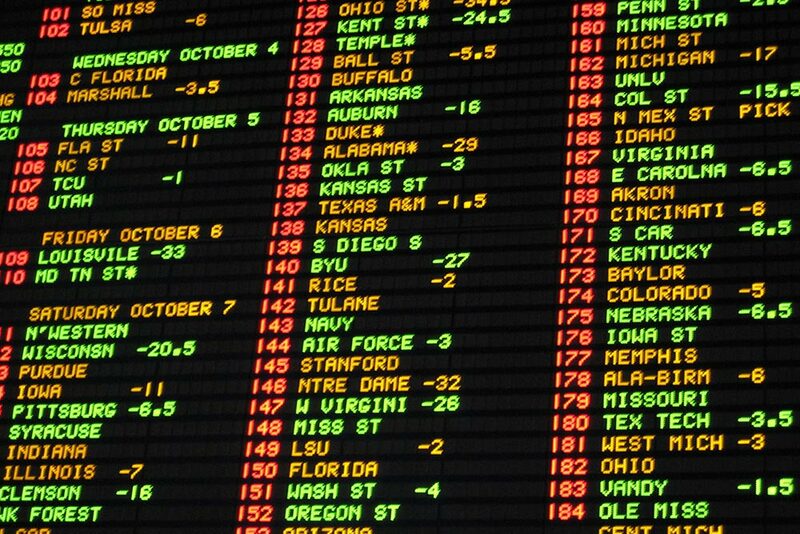 The legal sports betting landscape is constantly changing and Nevada’s strangle hold on the growing industry basically ended last spring (2018) when the Supreme Court ruled the ban should be lifted. And from that, casinos in seven other states (Rhode Island, Delaware, Mississippi, New Jersey, Pennsylvania, West Virginia and New Mexico) now accept wagers on sports. The list of states legalizing sports betting is expected to grow with numerous states considering bills. Research shows that the industry is projected to reach $3.1 billion in annual revenue by 2023 and according to a Statista survey, nearly 50 percent of 18 years and older living in the United States have placed a bet on a sports event at least once in their life. Can NASCAR Take Advantage of the Opportunity? NASCAR historically has allowed casinos to sponsors race cars, with Harrah’s Entertainment (now, Caesars Entertainment) sponsoring Robby Gordon in the past and most recently, South Point Hotel and Casino has sponsored a car in both the Xfinity Series and the Monster Energy NASCAR Cup Series. In 2015, NASCAR entered into a partnership with DraftKings for race fans to partake in the daily fantasy games and the partnership continues today. But with the Supreme Court ruling last year, NASCAR is opening the door for race teams to secure sponsorships from companies engaged in legal gambling and sports betting. NASCAR is late to the game compared to the NFL, MLB, and NBA when it comes to sports betting interest as many of the teams and leagues themselves have entered into sponsorship deals or are exploring large sponsorship deals. In late summer of 2018, the National Basketball Association (NBA) and Women’s National Basketball Association (WNBA) announced a multi-year partnership with MGM International. According to the press release, the partnership will connect millions of NBA/WNBA fans with MGM Resorts guests. The partnership is the NBA’s first with a sports betting operator in the U.S. and is the first of its kind between MGM Resorts and a major professional sports league. Following up to their deal with the NBA and WNBA, MGM International became the official sports betting partner of the National Hockey League (NHL) and will receive proprietary data from the league. And just a month later, MGM came to terms with Major League Baseball (MLB) to also become an “official gaming partner” and use MLB branding in its sportsbooks. At the same time as MGM was cutting deals with some of the major professional sports leagues, NASCAR was entering into an agreement with Sportradar to track and monitor its race data. Through the agreement, Sportradar will employ its Fraud Detection System (FDS) to monitor the global betting markets for criminal activity related to the league’s Monster Energy Cup Series, Xfinity Series, and Gander Outdoor Truck Series. The goal is to create an integrity filled, sound environment where gamblers feel “safe” and their bet is legit. At this time, nothing would have stopped a NASCAR driver or official in Dover from betting on the outcome of the race nor was anything in place to monitor any criminal behaviors in wagers. This is where Sportradar comes in. “It is critical to be proactive in developing safeguards that protect NASCAR’s on-track product from any potential integrity threats.” - NASCAR VP of Global Media Strategy and Distribution, Brian Herbst. Sportradar is a leader in the industry and supplies monitoring, intelligence, education, and consultancy solutions to over 70 major sports federations, leagues, and teams around the world, including Formula One racing. From a team standpoint, we are excited about this change in thinking and direction by the league. It provides additional revenue streams for us to approach with confidence in the integrity of our sport. NASCAR fans are 50% more likely to gamble online than non-fans and 75% more likely than non-fans to play fantasy sports online. Our fans our target rich. It should be said that each deal will have to be pre-approved by the league prior to a final deal and will need to have operations based in the United States. An obstacle to consider once a deal is done would involve the race telecast. Race cars with sports betting sponsors may have limited TV coverage due to the broadcast guidelines. With that said, this is an exciting time because any new avenue for sponsor revenue is welcomed regardless of which team lands the first deal. All of us as NASCAR stakeholders, from the tracks to the teams to the league, have a lot to gain – beyond any near-term revenue wins - because common sense would tell us that the more people are betting on NASCAR, the more likely they would watch the race. Consider the NFL and the influence that betting and fantasy sports have on the weekly ratings. Overall, increased fan engagement is just good for the sport. Have questions, or want more information about how NASCAR sponsorship can help you grow your business. Let's connect and talk about how we can win together. Seasoned sales and marketing executive with high level business development, client service and leadership experience. 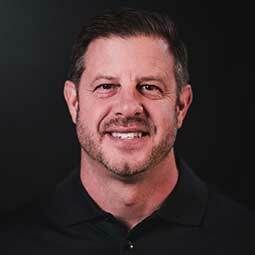 Having spent 20+ years in the sports world, Jeremy has worked for the client, agency, facility and now the team to gain a comprehensive approach to business. Receive email notifications when we post new content to our blog. Don't worry, we won't send you a ton of emails, you can expect one message every two weeks, at the most. If you like what you're reading here, check out some of the other content that has been posted recently. All Contents © Leavine Family Racing 2019. All rights reserved.